Here it was that the strangest foreigner going by the name of Jakar Nilson and myself, were strolling through the East End when we came upon a commotion. 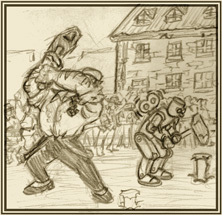 It was Professor Travis, challenging the crowd gathered around him to overawe his clockwork man in a contest of strength. 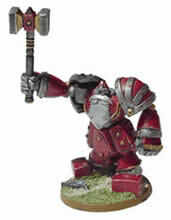 His nit-brick creation stood nearby him, in position to hammer a huge iron spike into the ground. I could see that Mr. Nilson was intrigued by this strange wonder, and it seemed that the Professor was just as intrigued in Mr. Nilson, for at once he dragged the troll out into the performance area. Here is an attempt to catalogue and illustrate all the various 28mm automatons one could use for Victorian Science Fiction. These plucky colonials really have lots to offer for the Scientific Romance addict. Armoured penny farthings! (Or, cough, Daleks, cough) Mechanical Trousers from the Kaiser! Clockwork Teddy Bears! What mechanical marvel will they think of next? One of the most distinguished firms of our esteemed hobby, now produced by two companies either side of the Atlantic. 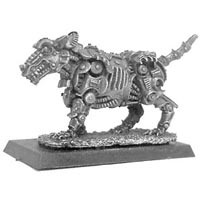 Though it’s not what most think when the words Ral Partha come up, they do have the most animated and diverse selection of automatons in the guise of 'dwarven golems'. 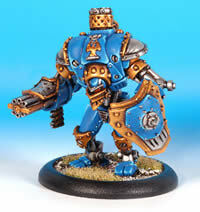 Currently only available from Iron Wind Metals across the water! Of all the troops enlisted to fight on Mars, none bring delight to young children as much as the Tsar’s Clockwork Soldiers. 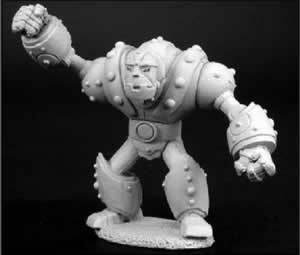 With their dashing riveted uniforms and their mechanical performances, these monstrous wonders will set fear in the hearts of friends and foes alike. Known for the card-dealing Weird Wild West game Deadlands, where magic runs wild through the North American frontier. 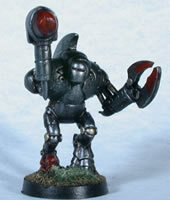 Though they normally be a tad oversize for the automatons, that’s precisely what we’re looking for! Sandra Garrity, does not, I repeat, does not, only sculpt fantasy women from the 1980s! These mechanical marvels come from her hands, and what marvels they are! 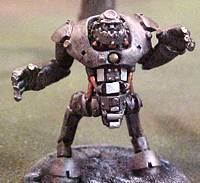 Warmachine, where Steam meets Fantasy, and made big robots called "Jack". ‘Ere’s a few right now. Ain’t they a beaut? 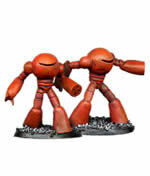 Granted, they’re only 12’ tall in the background fluff, but the actual models still tower greatly over any infantryman. 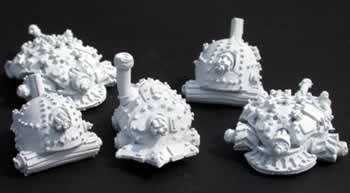 Plus they’ve enough bolts, steam and character to impress fear upon any enemy you’ll encounter. From the state of Germany (shouldn’t we say Prussia? 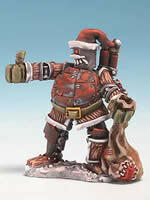 No, it’s currently AFTER 1871), Herr Klocke has sculpted a clockwork version of Jolly Old Saint Nick as we know him. Quite a good piece of craftsmanship, I must say, though remember its a limited edition! Chainmail is now dead, and by crikey its been superceded by some right plastic pony at WotC- best to raid old boxes and ebay for the original metal. 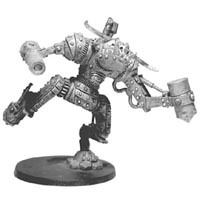 There are in fact two automatons hidden with this strange fantasy range, both from the 'Thalos' faction- (#88362 Hammerer, right and #88360 Pulverizer, left). In a world where Man can leap over a skyscraper in a single leap, one should expect enough mad science to allow mechanical beings of the most surprising kind. Of course, in the Era of Queen Victoria, such athletic feats are only feasible on other worlds, but the mechanical geniuses are quite real indeed. So bravo, and please make more! 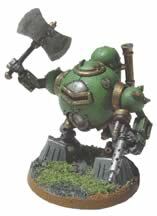 While looking through the Mageknight and Mechwarrior ranges, many handy clockwork men of sturdy and industrious composition appear, often ready to be fielded beside our brave Tommies with only a quick adjustment needed. Makers of England Invaded, a late Victorian wargame where the Great War breaks out two decades early. The only automaton is the Aerial Mine, which no Officer of the Engineer Corps should be without. 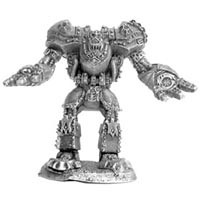 Unfortunately, they seem to have vanished off the face of the planet, but the miniatures can still be bought at Warrior Online. 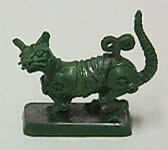 They have a boxed set that includes a Steam Man and a clockwork cat. Quite quaintly made, and come in a box with 6 ladies and gents for twenty US Dollars. You will need to go to Warehouse 23 though, or inherit them from an eccentric uncle, becaue SJG don't make them any more! 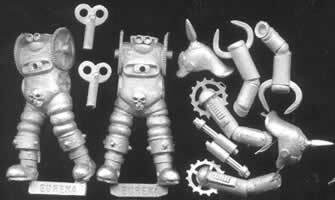 their Mechanical Men and Bestiary of Bronze. We had some trouble tracking these down because Grim Reaper don't have all the pictures on their website... fortunately Draggletown (who carry the range) are more obliging. Thanks to frother Steve Weidner for spotting them! If you find any neat toy, then pick it up and don’t be afraid to use it! Scratch-building and bargain hunting are great ways of creating a wacky collection! 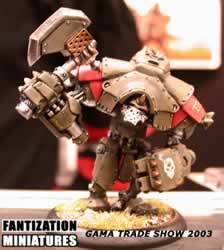 To visit the VSF: Industrious Vehicles Showcase click here.